Meet Dolores Huerta in person at a post-film Q&A on Monday, October 9 at 7:30pm! Regular admission prices. UPDATE: SOLD OUT! “Dolores Huerta is one of the most important, yet least known, activists in the fight for racial, class and gender equality in American history. 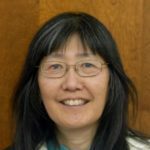 She was an equal partner co-founding the first farm workers union with Cesar Chavez, but her enormous contributions have gone largely unrecognized. Even as she empowered a generation of immigrants to stand up for their rights, her own fiery dedication and relentless work ethic were constantly under attack. And “Cesar Chavez” film about the legendary Chavez coming to the Border Fence at Nogales on Oct. 19. See our Calendar listing for information. Finally saw this documentary, been at the Loft Theater for 3 weeks, leaving on Thursday. Powerful movie about rise of Dolores Huerta in the United Farm Workers movement, along with Cesar Chavez from the 1960’s until his death in 1993. Tucsonans CD 3 Congressman Raul Grijalva and ethnic studies teacher Curtis Acosta are interviewed, along with others who know Dolores. She had 11 children along this journey, divorced 2 men, had a relationship with Cesar’s brother Richard Chavez. Interesting to note that she coined the phrase “Si se puede” (Yes we can, used by Pres. Barack Obama in his campaign). She now at age 87 still is fighting for social justice through her foundation. To check for final showings this week, go to http://www.loftcinema.org. 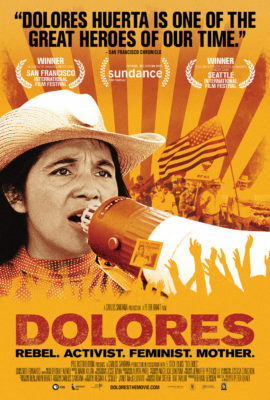 Loft Cinema has added at 10:15 p.m. show on Oct 9: “The 7:30pm show is sold out but Dolores Huerta will stick around to intro the 10:15pm screening.” http://www.loftcinema.org. “Dolores” special showing on Oct. 9 has sold out, but you can still see it between Oct. 6 and 12, with showings 3 to 5 times a day. It may stay on longer depending on popularity.